On 29 July 2010, dogi candlestick was formed. On 30 July 2010, there are ppl start acquire the stock. So, what do you think? Will it break up? 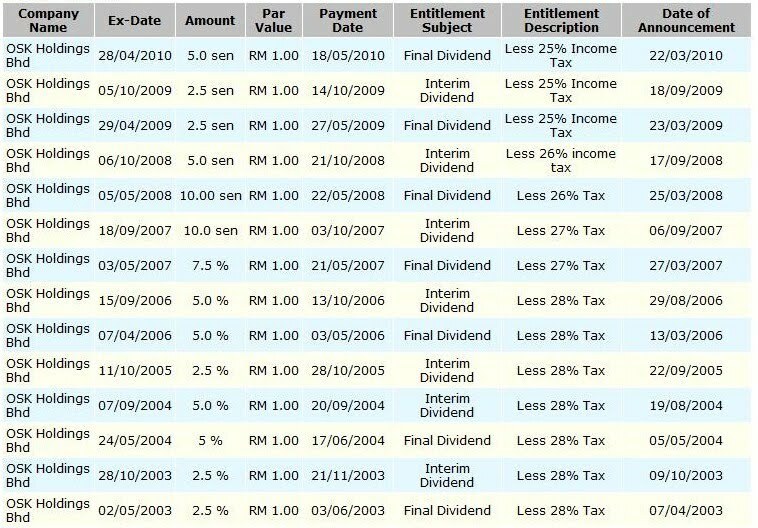 Let review OSK dividend payout history, as shown on above. Around end Of August OR early September, OSK will declare their dividend. 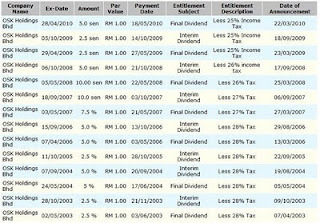 Economy pick up, finance stock sure make profit (pls refer last quarter result, which announced on 25/05/2010), I believe that coming quarter result will more attract ppl. 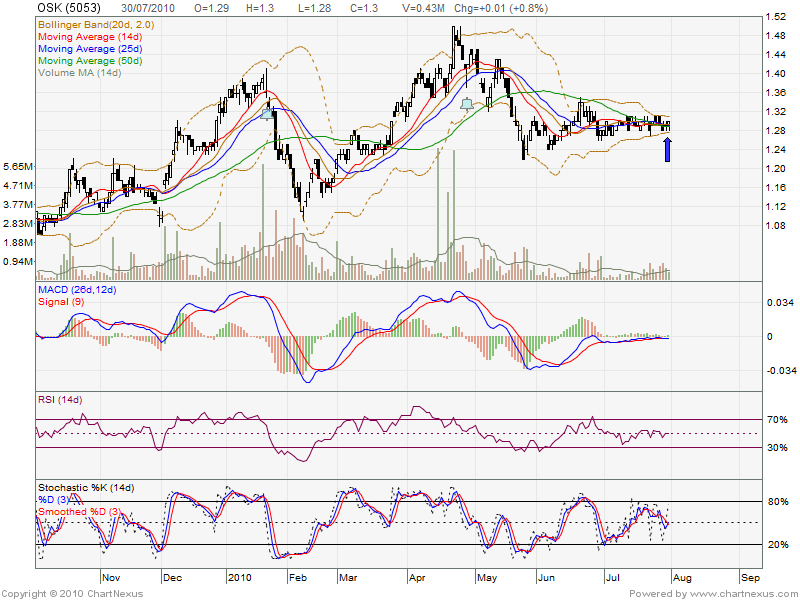 Perhaps OSK will declare attractive dividend boot up the stock price. 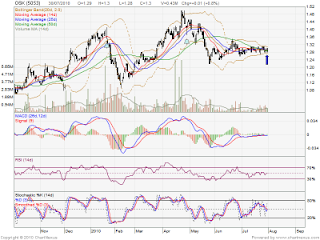 I am predict, this round it will declare around 5 up to 10 cent dividend. Let watch closely this counter.